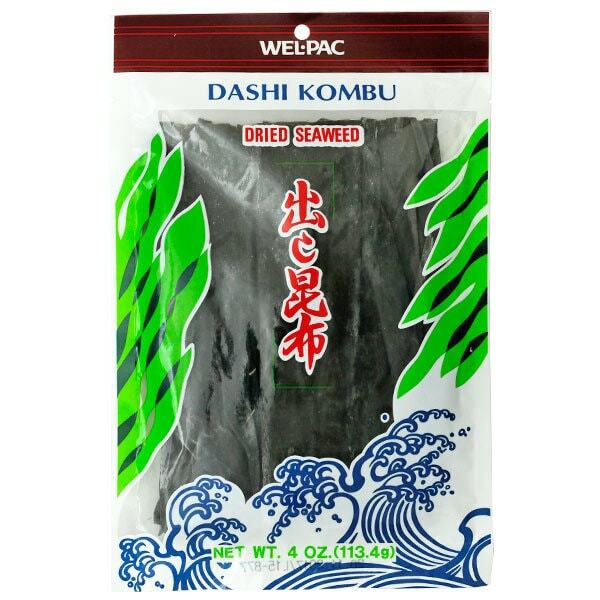 Dried kombu or dashi kombu is edible kelp used extensively in Japanese cuisine. It’s the key ingredient in making Dashi, or basic Japanese soup stock. They come in plastic packaging and can be found in Japanese or Asian stores.